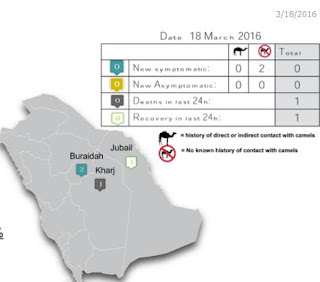 The one-day lull in MERS cases in Saudi Arabia ends with the announcement of two new cases in Buraidah, where more than 2 dozen primary and nosocomial infections have been reported over the past month. 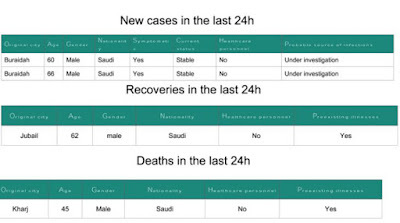 While the bulk of Buraidah's cases have been hospital acquired (19 HAI and 6 primary), today's report of 2 males in their 60s simply states their cases are `under investigation'. 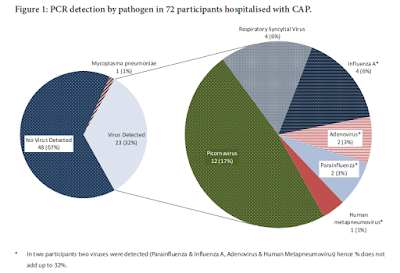 Whether hospital acquired (which seems most likely), or primary cases, the outbreak in Buraidah continues to grow.